ENTER THE AGE OF X-MAN! 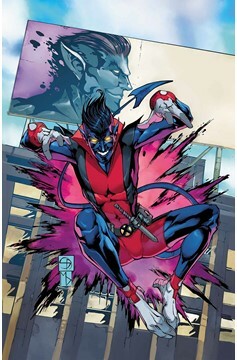 • From the Munich circus to Hollywood Boulevard, Nightcrawler is starring in his own solo series! • Kurt Wagner is the biggest celebrity slash super hero since Dwayne Johnson! • Juggling Kurt's responsibilities as one of the X-Men and a slate of summer blockbusters would be tough without the best support staff in the business: Stunt coordinator Magma! Personal trainer Kylun! And of course, his leading lady Meggan! • But there's something rotten in Tinseltown... Rated T+.